It seems that, like Christmas, the ‘Back to School’ frenzy starts earlier and earlier each year. If you have school-age children you might have barely made it home from the last day of term in July, with a ripe-smelling PE bag in tow, before being assailed by adverts telling you to stock up on items for the new school year in September. Not the most relaxing way to start the school holidays! But when September finally rolls around, most families do experience a feeling of ‘getting back to a routine’ after the laid-back long summer days and lighter evenings. Even if your little ones aren’t at school yet, you might be trying to re-establish routines that have been cast aside during the carefree summer holidays, when mealtimes, bathtimes and bedtimes were all a little more flexible. So as the days get shorter, the nights get longer and the weather gets colder, we have some great products that can help you and your little ones get back into good sleep routines. Switching on the central heating once again really does feel like summer is over, but knowing the right time to do so isn’t always obvious. If you do it too soon, you may risk overheating the room your little one sleeps in, if you leave it too late, they may get cold in the night and sleep badly. The gentle glow of the Gro-egg can tell you at a glance whether the temperature of the room is too high (red glow), too low (blue glow), or just right (yellow glow). You can then alter the room temperature or adapt your little one’s clothing or bedding. If you suffered from poor sleep during the sultry summer nights, then snuggling up in bed with a heavier duvet when the temperature drops, can feel like a treat. If your little one has a Grobag Baby Sleep Bag, you may find that they also need to switch to a higher tog (European warmth rating) as the nights get colder. Grobags are designed to be used instead of blankets and top sheets, so choose a 2.5 tog Grobag for standard room temperatures of 16-20°C, or a 3.5 tog Grobag for cold room temperatures of 12-15°C. All babies are different, so be sure to check your little one to make sure he or she is not too hot or cold. 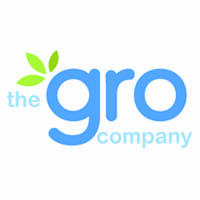 The Gro Company’s range of sleep solutions are designed make parents’ lives a little bit easier, so even if you dread the approach of the dark days of winter, you can still look on the bright side of enjoying safe, restful sleep for you and your family.